An emotional public visitation was held Wednesday in Jacksonville for Mariah Woods. 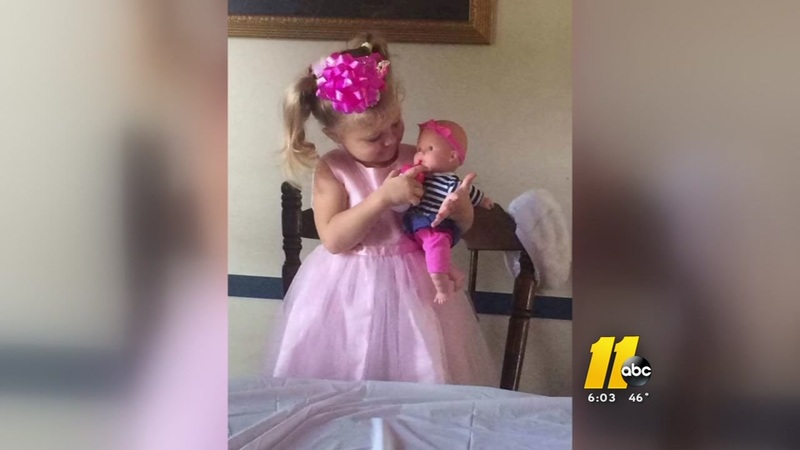 ONSLOW COUNTY -- The Onslow County sheriff said the investigation into the death of three-year-old Mariah Woods is still ongoing. It's been a little over four weeks since Mariah's body was found in the Pender County area. On Wednesday, reporters with WCTI spoke with Onslow County sheriff Hans Miller to see where the case stands. "This investigation is by no means over with," Miller said. "There's so many things that need to be followed." Miller also alluded that "additional things will be forthcoming," but he would not specify whether those "things" were additional charges or arrests. Online records show Earl Kimrey, the man accused of killing Mariah, is due in court on April 2. Kimrey, 32, was the live-in boyfriend of Mariah's mother Kristy Woods. He was charged with multiple offenses relating to the little girl's death, including concealing of death, obstruction of justice, second-degree burglary, felony larceny and possession of stolen property. Autopsy results have yet to be released in the case. On December 5, 2017, District Attorney Ernie Lee told WCTI the autopsy results for Mariah are "still pending." So far, there is no timeline for when the results will be available. "We only have one chance to get it right," Miller said. "When the time comes, it will be put out."